Water Efficiently for the BEST LAWN ON THE STREET! Watch this! Yes! I refer everyone to you! First time customer and very excited about that! How do you rate our last visit? Other, described below in comments. 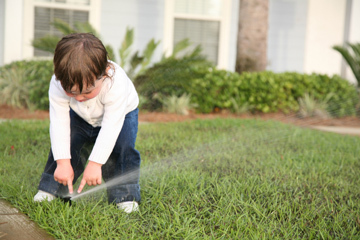 *The awesome assessment is included in every sprinkler service call. Yes, Can't wait to see you! Free Consultation. I do not have any existing lighting. Blue Sky Rain works on professional landscape lighting systems. We do not provide service for temporary, solar type systems typically found at the big box stores.